As some of you may know, there is a “new” reverse engineering toolkit out there which tries to compete with IDA Pro in terms of reverse engineering. I’m talking about radare2, a framework for reversing, patching, debugging and exploiting. It has large scripting capabilities, runs on all major plattforms (Android, GNU/Linux, [Net|Free|Open]BSD, iOS, OSX, QNX, w32, w64, Solaris, Haiku, FirefoxOS and even on your pebble smartwatch 😉 ) and is free. Sadly, I had some problems finding good tutorials on how to use it, as the interface is currently a bit cumbersome. After fiddling around, I’ve decided to create a little tutorial series where we can learn together ;). I will publish one binary per post and you will have time to reverse it till the next blog post is published (most of the time you have to find which data you have to enter to make the binary happy). to start it. Radare has a very shortened command syntax (it is always logical, but in my opinion a few more characters wouldn’t hurt). So to start the analysis of your file, type aa (for analyze all; use aaa or aaaa to run even more analysis algorithms). Did you already get the idea behind the commands? 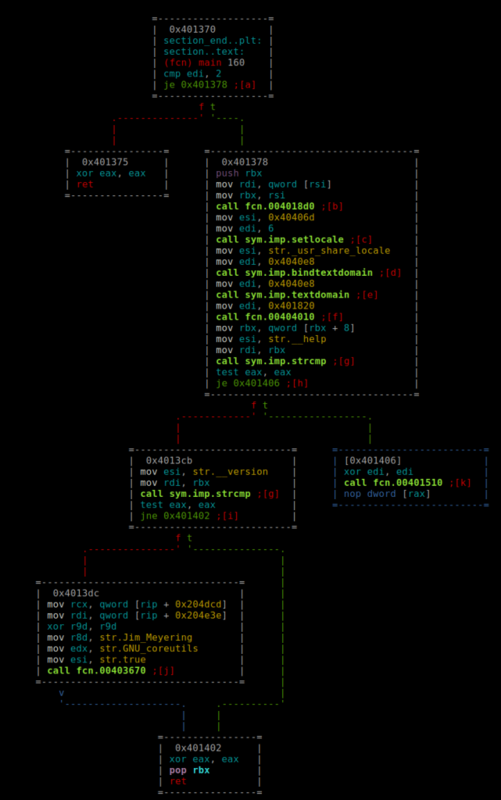 Radare uses a tree structure like name of the commands so all commands which corresponds to analyzing something start with a. 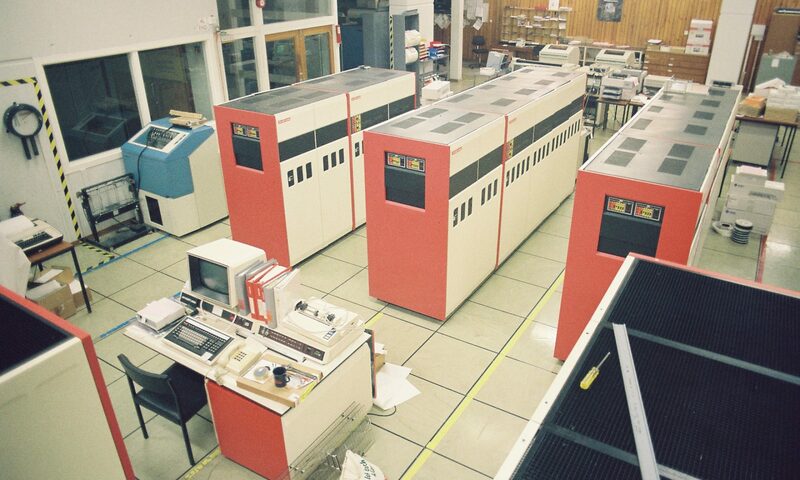 If you want to print something you have to use…. 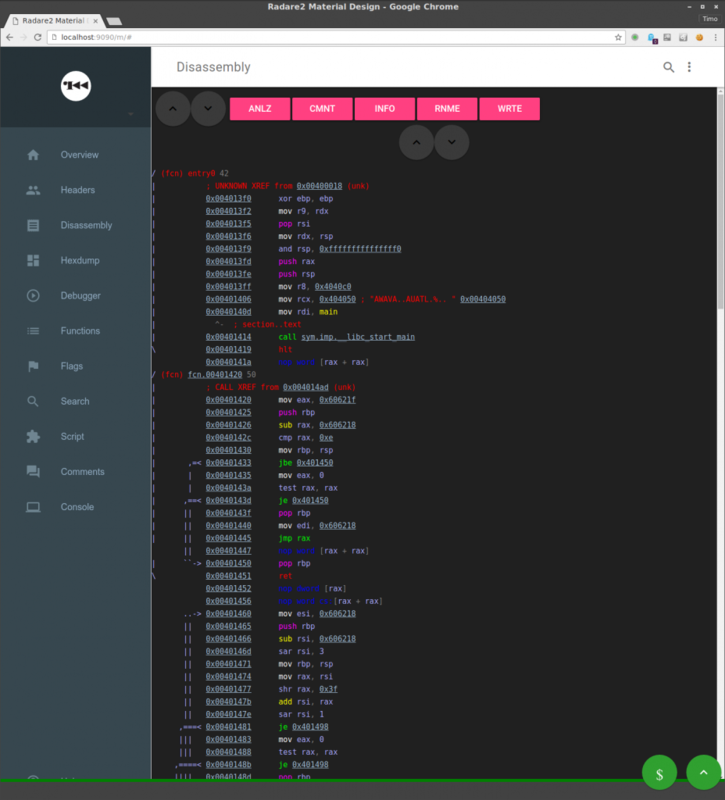 p. For example disassemble the current function: pdf (print disassembly function). As no human could remember all available commands in radare (there are many of them), the ? character is used to display context sensitive help text. A single ? shows you which command categories are available and some general help about specifying addresses and data. A p? shows you the help about the different print commands, pd? which commands are available for printing disassemblies of different sources, etc. you’ll jumping into the main function (as long as you’d analyzed the binary in the first step and symbols are available). The following shows you the output of the pdf command after seeking to the main function of the /bin/true binary. Your goal is to find the correct password for the login in the binary (hint: hardcoded passwords are bad) . Next time I’ll give you a walkthrough for the challenge and challenge #2.